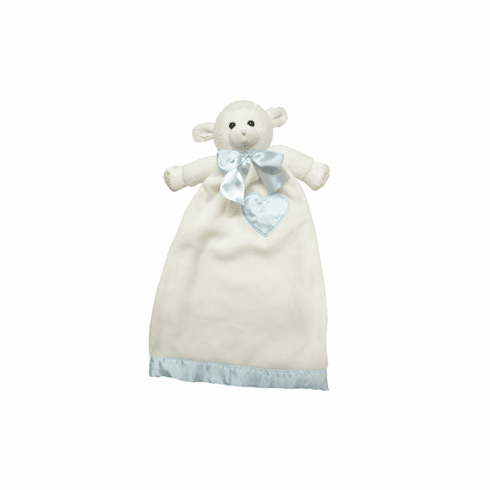 Personalized Lovie Lenny Lamb features a soft white fleece body trimmed in a soft blue satin blanket edging. Lovie Lenny Lamb is the perfect gift if you are looking for something that isn't "too much" blue. Lovie Lenny Lamb is one of our most popular lovies. Lovie Lenny Lamb looks really nice when embroidered with light blue lettering to accent the light blue trim. Lovies are great for babies to comfort them when they are lonely.